Welcome to the Department of Construction! The construction industry involves collaboration across multiple disciplines. Construction managers coordinate and supervise a wide variety of projects, including the building, repair and rehabilitation of all types of public, residential, commercial and industrial structures, as well as water control structures, roads and bridges. Construction managers plan, estimate, budget, schedule and supervise construction projects from start to finish. They must coordinate and collaborate with architects, engineers and other construction specialists, subcontractors such as steel fabricators and concrete companies, and trade workers, such as stonemasons, electricians, welders and carpenters. The Department of Construction offers a BS in construction management, a minor in construction management for students pursuing a BS or BA in another major, and a land surveying specialization. About Meet our dedicated faculty and staff, and read our latest news and announcements. Degrees & ProgramsLearn about construction management degrees, including a specialization in land surveying. StudentsJoin a student organization, or apply for an internship or co-op. Industry Outreach Find more about our Plastic Shrinkage Crack Risk Calculator or our Construction Leadership Institute. 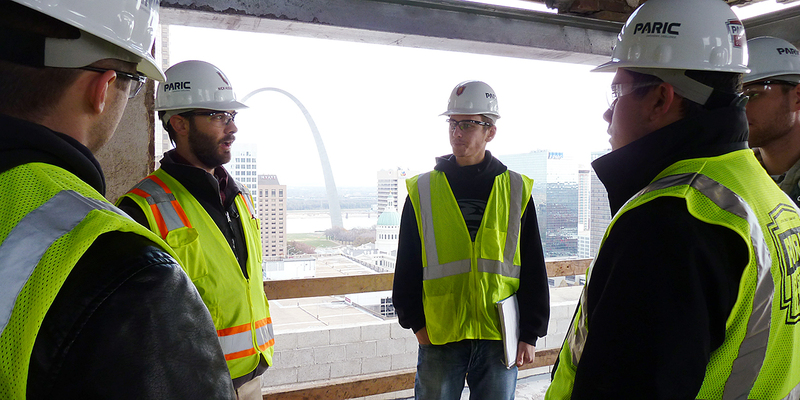 Alumni Learn about construction alumni involvement. ContactContact us for more information.